Xerox Premium Uncoated Inkjet CAD Paper is a premium high white colour inkjet paper giving vivid colour output for both line work and block infill. Excellent formation for final drawings and presentations. 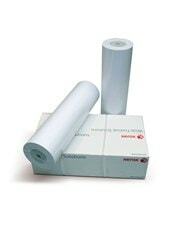 A high quality paper ideal for final drawings and presentations.